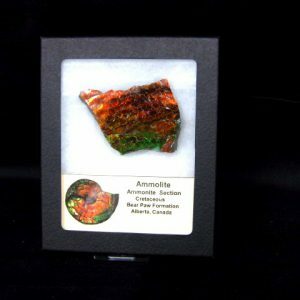 This natural specimen is still embedded in the rock matrix it was found in. There has been no polishing done to it. The Orthoceras itself measures approx. 1 9/16″ long. 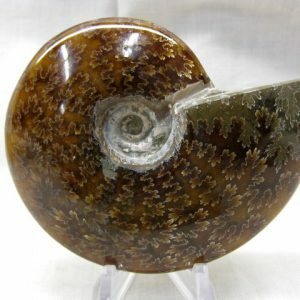 Orthoceras (“straight horn”) is a genus of extinct nautiloid cephalopod. 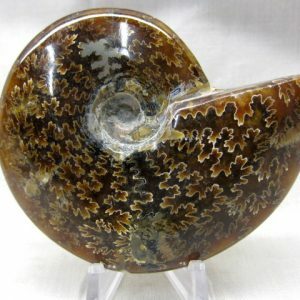 This genus is sometimes called Orthoceratites. Note it is sometimes misspelled as Orthocera, Orthocerus or Orthoceros. These are slender, elongate shells with the middle of the body chamber transversely constricted, and a subcentral orthochoanitic siphuncle. 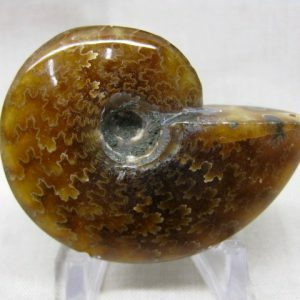 These orthocone cephalopods are conspicuous in the fossil record for their occasional but persistent appearances in monospecific assemblages dense enough to form individual beds of limestone that often are regional key beds. 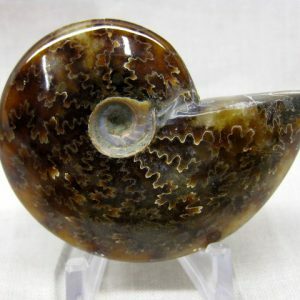 Limestones that consist of monospecific assemblages of orthocone cephalopods are known as either cephalopod beds, cephalopod limestones, nautiloid limestones, or Orthoceras limestones in the geological literature. 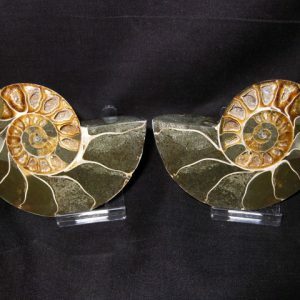 Based on studies of size distributions of the orthocone shells, it had been argued that these assemblages likely represent post-mating mass deaths, as are common among modern cephalopods (though not modern nautiloids) and indeed among many semelparous species. 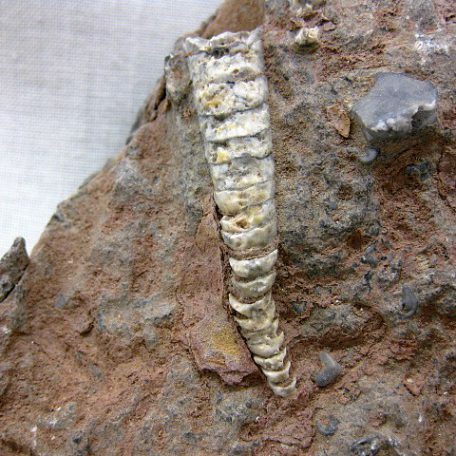 More recent taphonomic and sedimentologic studies argue that such limestones are the result of the gradual accumulation of orthocone shells over an extended period of time in areas with very low rates of sedimentation and strong bottom currents. 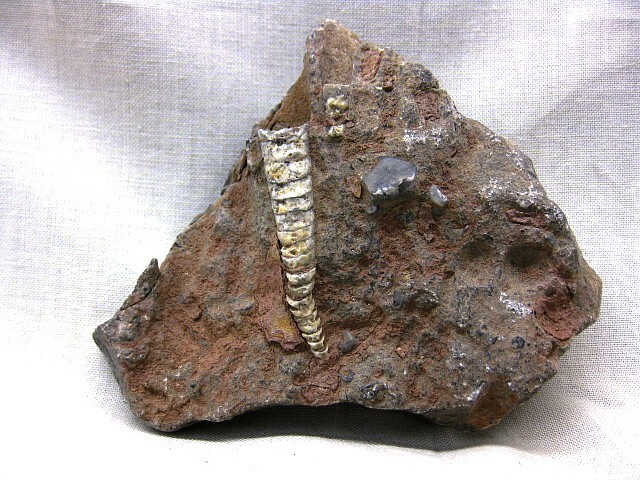 These assemblages, are known mostly from Ordovician rocks but do occur later as well, at least into the Devonian. Well-known examples occur in Morocco, Scandinavia, the Alps, and Iowa (USA). 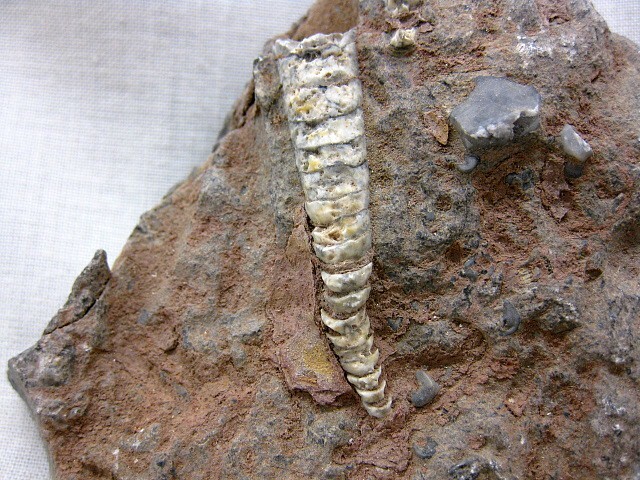 Orthoceras and related orthoconic nautiloid cephalopods are often confused with the superficially similar Baculites and related Cretaceous orthoconic ammonoids. 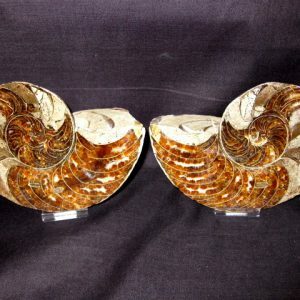 Both are long and tubular in form, and both are common items for sale in rock shops (often under each other’s names). 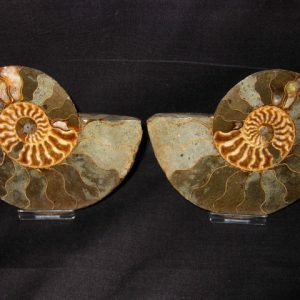 Both lineages evidently evolved the tubular form independently of one another, and at different times in earth history. 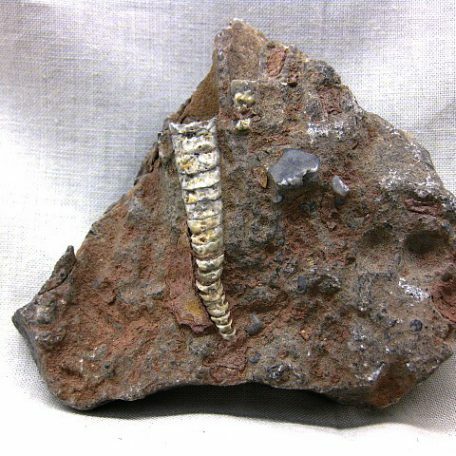 Orthoceras lived much earlier (Middle Ordovician) than Baculites (Late Cretaceous) The two types of fossils can be distinguished by many features, most obvious among which is the suture line: simple in Orthoceras, intricately foliated in Baculites and related forms.